Last year I intended to begin a series of posts on my favorite biblical commentaries. I began with a post on my favorite commentaries from 1&2 Samuel (click here), but unfortunately I have not taken the time to continue this series until now. Below I list some of my favorite Genesis commentaries. But before proceeding to the list below I’d like to explain a little about my selection of commentaries for biblical books. As Michael Heiser explains in his mobile ed course from Logos, Introducing Biblical Interpretation, there are 3 different kinds of commentaries: 1. Devotional or Popular (a one volume commentary with very general info); 2. Expositional (more specific, English based, dealing with some textual issues); and 3. Scholarly (based on research in the original languages, with more indepth discussion of the various issues raised by a text). Generally, my commentary selections come from category 3 because I have found these kinds of commentaries to be the most insightful and beneficial. Sometimes a selection may also come from category 2. Although devotional commentaries are a great resource for getting some basics and for inspiration, my focus is on those commentaries that give a deeper insight into the text. Following the lead of my previous article on Samuel commentaries, I will list my 5 favorite Genesis commentaries, although this time I have listed them in the order of my preference from 5 to 1. 5. James McKeown, Genesis, The Two Horizons Old Testament Commentary, (Grand Rapids: William B. Eerdmans, 2008), 398 pp. What I like about the Two Horizons Commentary format is that the first part of the book focuses on the commentary proper while the second half of the book treats important theological topics raised by the biblical book under discussion. The commentary on Genesis itself in the first part of this book is only 193 pages. My first reaction was that this was a thin treatment of a biblical book with 50 chapters! However, McKeown doesn’t waste any space and does an excellent job of focusing on the main points of the text. 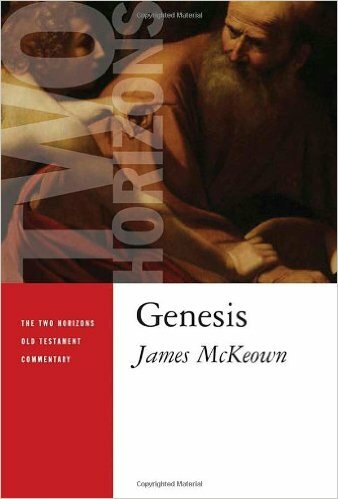 The second half of the book greatly enriches the commentary portion and allows McKeown extra space to focus on important topics in Genesis. McKeown breaks his treatment down into 3 parts: 1) Theological Message of the Book; 2) Genesis and Theology Today; and 3) Genesis and Biblical Theology. Under “Theological Message of the Book,” McKeown devotes 100 pages to the important themes of Genesis. His opening discussion concerns “Main Unifying Themes,” of which he sees descendants (the theme of the seed), blessing (or relationship with God), and land as the key themes of Genesis. McKeown states that, “The theme of descendants is the foundational or key theme, since the others, blessing and land, can only be recognized by their relational function to those who benefit from them–the descendants” (p. 197). In Part 2: “Genesis and Theology Today McKeown examines the various questions regarding Genesis and Science (Creationist and other approaches, the Day/Age theory, etc.). Part 3: “Genesis and Biblical Theology,” examines the influence of Genesis (including quotes, allusions, and ideas) on the rest of the biblical canon. If someone was looking for an insightful, but shorter treatment of the Book of Genesis, this is a commentary I would definitely recommend. 4. Bruce K. Waltke, Genesis: A Commentary (Grand Rapids: Zondervan, 2001), 656 pp. One of the greatest strengths of this Genesis commentary by Waltke, is also one of its weaknesses. Waltke pays great attention to the structure of the Book of Genesis. He believes it is an intricately woven set of concentric patterns (some would say chiastic patterns). Although Waltke really opened my eyes to the literary beauty of the Book of Genesis, and taught me to look at it in a way I had not before, many would argue that at least some of his concentric patterns are forced. Nevertheless, I appreciate the fact that his commentary follows the outline of the Book of Genesis by using the “these are the generations of” (Hebrew: toledoth) formula. 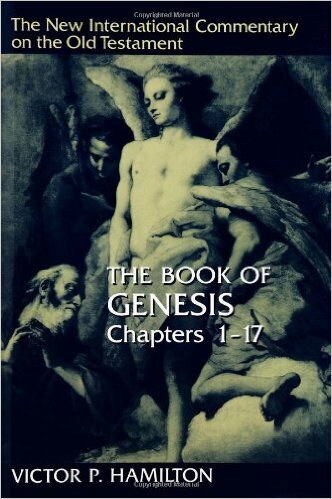 A lot of the introductory material is designed to familiarize the reader with various literary techniques that can be found in the Book of Genesis. Things such as key word, contrast and comparison, foreshadowing, and inclusion, to name a few. Besides a commentary section, Waltke has many other useful ways in which he examines the passage. He summarizes the theme of each “book” (or toledoth), provides an outline, does a literary analysis showing the structure, summarizes the theology and adds other helpful discussions. 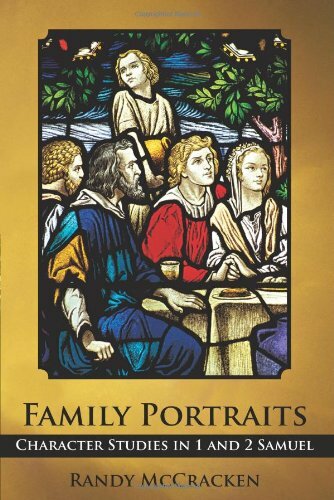 For example, in “Book 2,” (Gen. 5:1-6:8), Waltke provides helpful discussions on genealogical structure and the use of numbers. 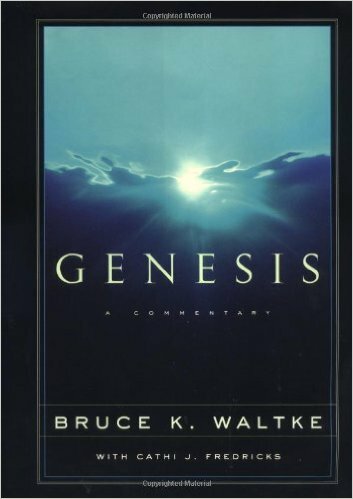 While one may not agree with all of Waltke’s conclusions, this Genesis commentary is packed full of information and insight, and presents a very illuminating way of looking at the Book of Genesis. The New International Commentary on the Old Testament (NICOT) series is simply one of the best commentary series out there (its companion on the New Testament is also excellent). If you’re looking for high quality evangelical scholarship, this series is hard to beat. Hamilton certainly upholds this standard in his excellent 2 volume Genesis commentary. Hamilton begins in volume 1 with a 100-page introduction which concludes with a whopping 25 page bibliography! In the Introduction, Hamilton discusses such topics as the structure, composition, theology, and canonicity of Genesis, as well as others. Unlike the other two commentaries mentioned above, the NICOT includes a translation by the author from the original Hebrew. Thus each section begins with this fresh translation and any footnotes the author deems necessary in explaining the Hebrew text and his translation of it. A verse by verse commentary follows. Each section (usually following chapter divisions) concludes with a helpful section entitled: “New Testament Appropriation.” This section looks at NT quotes from Genesis or the NT’s appropriation (hence the title) of certain concepts from Genesis (e.g., the image of God). As one might expect from a commentary that is approximately 1300 pages, Hamilton’s commentary patiently discusses significant problems in Genesis interpretation (e.g., who are the “sons of God?”) and provides a lot of wonderful insights. For those of you who read any of my reviews, you may be aware that Gordon J. Wenham is a favorite author of mine (see my review of Exploring the Old Testament: Pentateuch, by Wenham). This is actually my favourite Genesis commentary, but my reason for putting it at number 2 will be discussed below under number 1. Wenham spends more than half of his introduction discussing “Genesis in Recent Research,” which involves the authorship and composition of Genesis. It includes a look at the documentary hypothesis (JEDP) and the “New Literary Criticism” approach. Wenham argues for the unity of many of the Genesis narratives and concludes that the most likely scenario for Genesis is that it was written by one author whom he designates as “J” (using the old terminology) somewhere between 1250 – 950 B.C., with a few late editorial updates (e.g., “Ur of the Chaldeans”–Gen. 15:7). Wenham sums up his discussion of the theology of Genesis by stating “If the message of Genesis is essentially one of redemption, Gen. 3-11 explains why man needs salvation and what he needs to be saved from” (p. lii). For those who are unfamiliar with the format used by Word Biblical Commentary, each section contains the following: 1) an original translation of the Hebrew text by the author; 2) notes on the translation itself; 3) comments on the form, structure, and setting of the passage under consideration; 4) a comment section (this is the verse by verse commentary); and 5) an explanation section which sums up the meaning of the text and seeks modern-day application. Each section also includes a detailed bibliography. One of the strongest aspects of Wenham’s commentary, in my opinion, is his analysis of the structure and flow of the narrative in Genesis. While this is more commonplace in commentaries today, Wenham’s Genesis commentary was among the pioneering efforts of the New Literary Criticism approach. The careful reader will be greatly rewarded working his or her way through this excellent commentary. My reason for giving the nod to Mathew’s commentary on Genesis over Wenham’s is because Mathews has the benefit of reaping the insights of Wenham, Hamilton, and many other Genesis commentators before him. 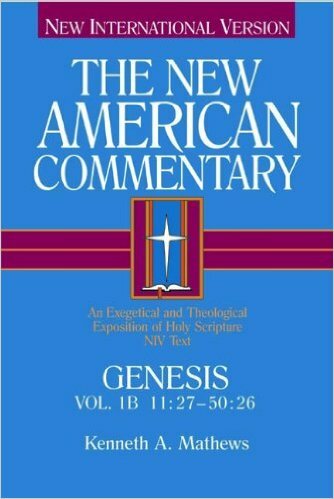 If you could only buy one Genesis commentary, this is the one I would recommend because of the great synthesis of material that it contains. This is not to say that Mathews does not offer his own contributions to understanding the text of Genesis, but only to affirm that he has greatly benefitted from the work of others before him. The sheer size of this commentary, nearly 1500 pages, suggests its thoroughness (at least as far as can be expected on any one book of the Bible). Mathews excellent 90 page introduction in volume 1 only covers that volume (which treats Gen. 1:1-11:26). In volume 2, Mathews has another 60 pages of introductory material before beginning the commentary on Genesis 11:27-50:26. Mathew’s favors a literary approach, and this is one of the first things he discusses in the Introduction of volume 1. The stated purpose of the New American Commentary series by the editors includes “illuminating both the historical meaning and contemporary significance of Holy Scripture” (Editors’ Preface) and focuses on two concerns: 1) how each section of a book fits together; and 2) a theological exegesis which provides practical, applicable exposition. The NIV translation is used throughout the commentary with the author’s comments on the Hebrew text when necessary. Each section begins with an outline of the passage under consideration followed by introductory comments, commentary on the verses themselves. Theology and application is interwoven in the commentary and at points the commentary is punctuated by “Excurses” on important topics. Mathews demonstrates a mastery of the material and no important discussion is omitted. This commentary is the most comprehensive commentary on Genesis that I have come across. It should definitely be a part of any Christian’s library who desires to be a student of the Word. There are, of course, many other commentaries on the Book of Genesis worthy of reading. Those mentioned above are simply my favorites. Honorable mention should also be given to Umberto Cassuto’s 2- volume Genesis commentary, Walter Brueggemann’s Genesis commentary in the Interpretation series, and Gerhard Von Rad’s Genesis commentary in the Old Testament Library series. For a popular treatment of Genesis that is based on scholarly research (but reads as if the author is telling you about his discoveries in Genesis), one should consult Genesis: The Story We Haven’t Heard by Paul Borgman. By the way, Borgman is the author of David, Saul, & God, previously reviewed by me at the following link (click here). As the first book of the Bible, and as the book that provides the foundation for all the rest, I would greatly encourage you to study the book of Genesis. I am confident that studying it with one or more of the commentaries above by your side would be a blessing and greatly enhance your knowledge and understanding of Genesis. For an overview of the main theme of Genesis see my article: The Theme of the Book of Genesis. 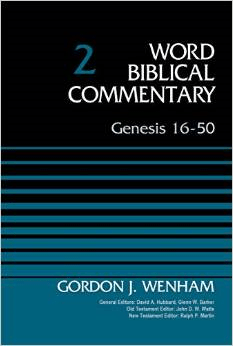 There is no shortage of commentaries on Genesis and, thankfully, no shortage of recommendations. The most pressing and divisive issues include the authorship of the book and, of course, the most faithful understanding of creation. Randy, also, as with my question on your favourite Samuel commentaries, where would Walton’s commentary lie and what do you think about his interpretation of the flood? (I finished reading a book on the flood by him and Tremper Longman last night). For Genesis 1-12 I would rank Walton’s Genesis commentary in the NIV Application Series near the top. It’s really excellent. Sadly, it tails off after that simply because Walton doesn’t look at the later chapters in depth. I haven’t read his new book with Longman on the Flood, although I’m interested in doing that. His comments in his Genesis commentary definintely lean to a more regional event. He presents some interesting arguments noting the various possibilities of the meaning of certain Hebrew words. He also notes some of the mathematical improbabilities of a world-wide flood. I assume he goes into these things in the book your mentioning. I don’t have a conclusion one way or the other regarding the Genesis Flood. I am open to it being local or world-wide. More research needed (by me) in this area! The place else may anybody get that kind of information in such a perfect way of writing?